The advanced solution with complete standard equipment that guarantees the best price-performance ratio. Speed, precision, flexibility and pr​oductivity mark out gabbiani g 2. 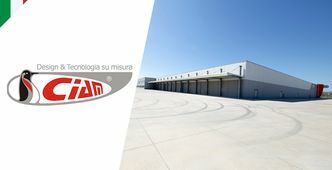 It has been designed to assure high performance in a developed industrial context of just in time productions. 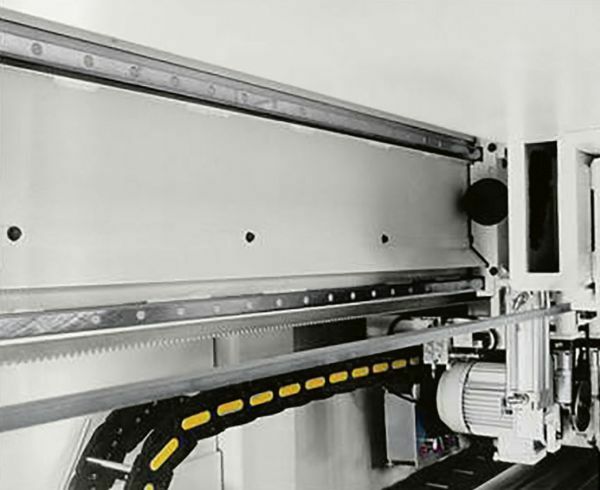 With its range of options it can be used to cut plastic, acrylic and synthetic panels. 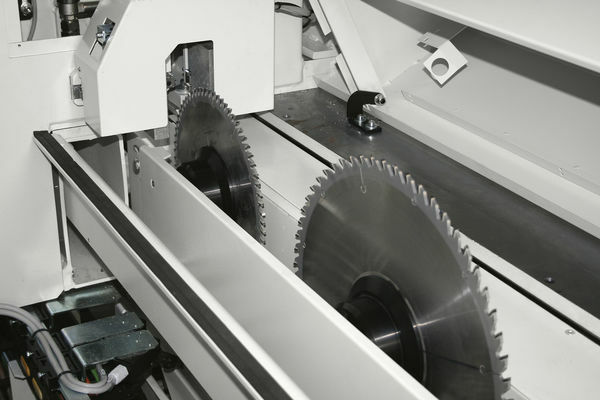 HI-TRONIC Vertical stroke device: high technology on the saw carriage. 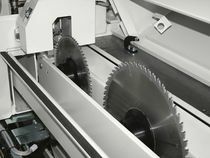 Very high quality finishing cutting standards together with high speed and precision with the total electronic control of the blades. PRISMATIC GUIDES WITH RECIRCULATING SPHERES: maximum linearity and minimum friction. Increased productivity capacity both with high speed, that can be reached during the feeding stroke and a return stroke (up to 170 m/min). The centralised lubrication, verified by control, guarantees the complete lack of maintenance. 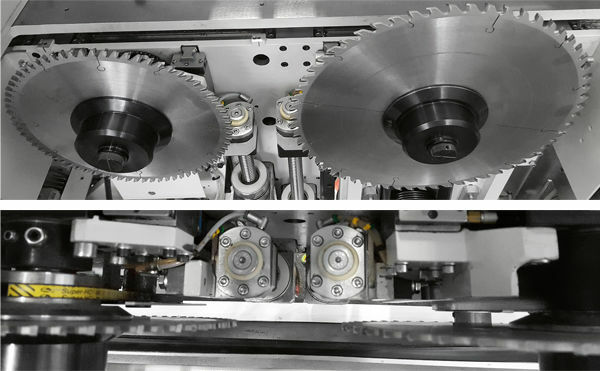 FLEXCUT 1/D and 1/S: more cuts in less time. High efficiency due to the use of 2 pushers with completely independent stroke. Drastic reduction in machining cycle times due to the simultaneous processing of several bars with different cuts. In version 1/S, the unit is fitted with a single gripper, giving two independent cutting axes, at an extremely low price. 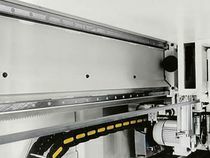 In version 1/D, extreme flexibility is achieved as the mobile unit is fitted with two grippers with double finger, the second gripper can be excluded, therefore guaranteeing a wide variability in the width of the strips that can be gripped. SAW SET: tool changing has never been so easy. 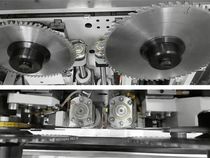 In few seconds the "SAW-SET" device carries out a fast and precise tools adjustment due to the electronic setting, allowing an intuitive use of the machine and a productivity increase.